This custom 5ft Performance Hybrid Nylon Whip was plaited in the colors and pattern of the poisonous North American Coral Snake. Paracord colors include: Black, Yellow, and Imperial Red. 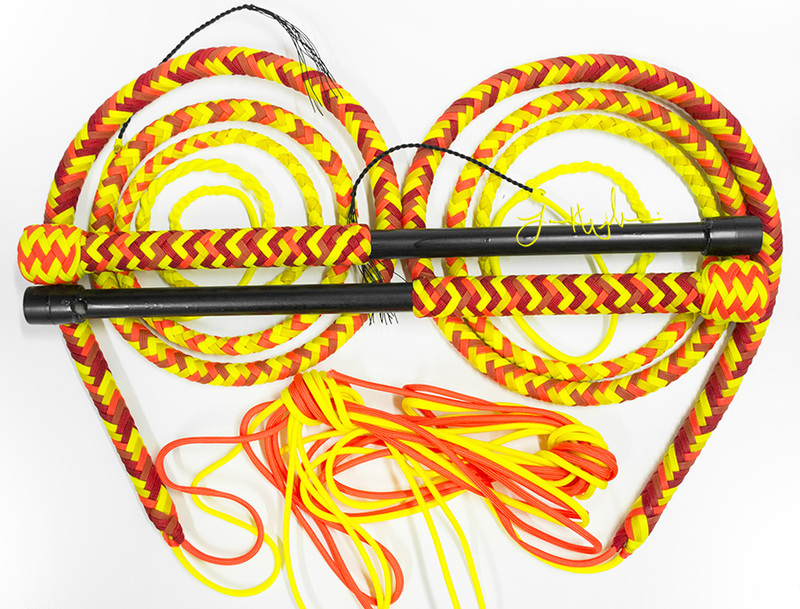 This matched pair of custom 6ft Performance Hybrid Nylon Whips was custom made for Michael in the colors and pattern of the poisonous North American Coral Snake. Paracord colors include: Black, Yellow, and Imperial Red. This custom matched pair of PH Nylon whips was made for Greg in a Sunburst pattern including the paracord colors Imperial Red, Solar Orange, Neon Orange, Yellow, and Neon Yellow. 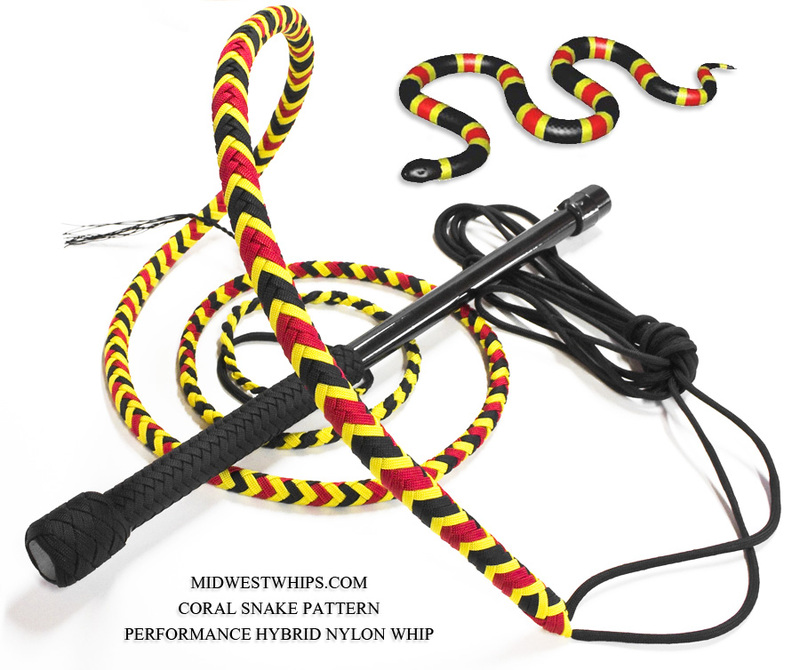 Check out our MidWestWhips Nylon Whips page for more information on Performance Hybrid whips or check out our In Stock Whips page to see if we have any PH whips currently In Stock. 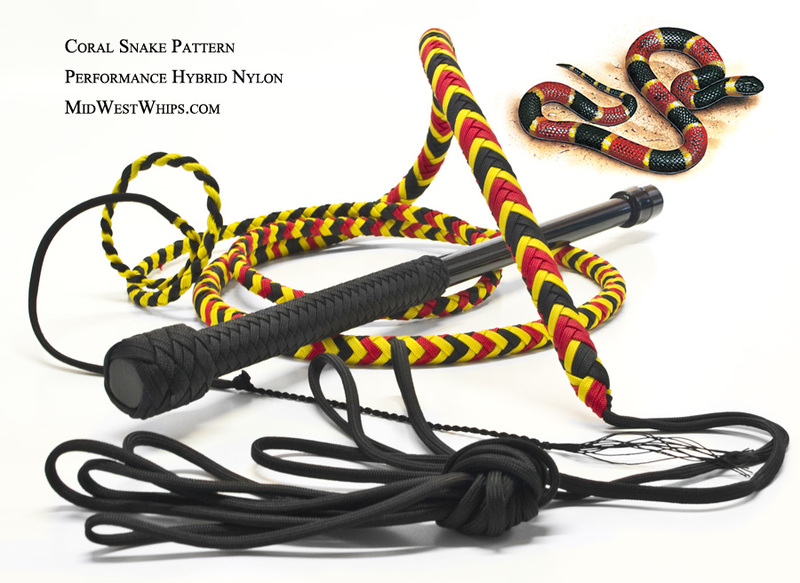 This custom 6ft Performance Hybrid Nylon Whip was custom made for Dylan in the colors and pattern of the poisonous North American Coral Snake. Paracord colors include: Black, Yellow, and Imperial Red.